As soon as Real Techniques brushes were released I knew I had to get my hands on them and promptly picked up two of the sets, since then whenever I saw one I didn't own, I bought it. I now have about 90% of the brushes and absolutely love them, before I used them I didn't own too many brushes but after using them I have realised how important they are when applying makeup, they can change how a foundation looks and are essential for all the eye looks I do. The quality on these brushes is phenomenal, especially for the price, they are so affordable compared to Mac brushes and I think the quality is just as good, if not better! All the brushes are ridiculously soft and a joy to use. My favourites are the Buffing Brush, which I use for my foundation, it isn't as dense as the Expert Face Brush however I find it easier to blend foundation in as it isn't as firm. The Contour Brush is perfect for contouring as it is a great size, I often find that contour brushes are way too large to get into the hollows of cheeks but this one is brilliant! The Base Shadow Brush is awesome for blending, it is a lot softer than the Mac 217, I also use the Deluxe Crease Brush to blend eyeshadow in the crease, however it is also fab for applying concealer both under the eyes and on the face. I think one of the best things about these brushes is that although they have specific names like the "Contour Brush" they can be used for so many different things. The Expert Face Brush could be used for foundation, or for mousse bronzer like the Soleil Tan de Chanel. The Contour Brush could be used to contour, to set powder under the eyes or to apply highlighter, the Blush Brush could be used to apply blusher, bronzer or powder. They are great to travel with as they can be used for so many different uses and the kits come with a great holder for them. I genuinely cannot fault these, they are the best quality brushes I have tried, they are so affordable and I use all of them, usually in kits there are one or two brushes I never use but not with these! Have you tried any of the Real Techniques Brushes? I own so many Real Techniques brushes too, and honestly, they're the only ones I ever use (with the addition of my MAC 217). They're absolutely amazing and like you said, so affordable! Great post. I love the Real Techniques brushes, I love the expert face brush, stippling brush and base shadow brush but I really want to try the buffing brush as it sounds fab! I also love that they're so versatile! I love these brushes. My favourites are the Multi-Task Brush (out of the Travel Set) and the Pointed Fondation Brush - love them! I absolutely love the real techniques brushes! They never have any fibers come out which is my ultimate favorite, nothings worse than having a tiny hair on your face that you just can't get off! 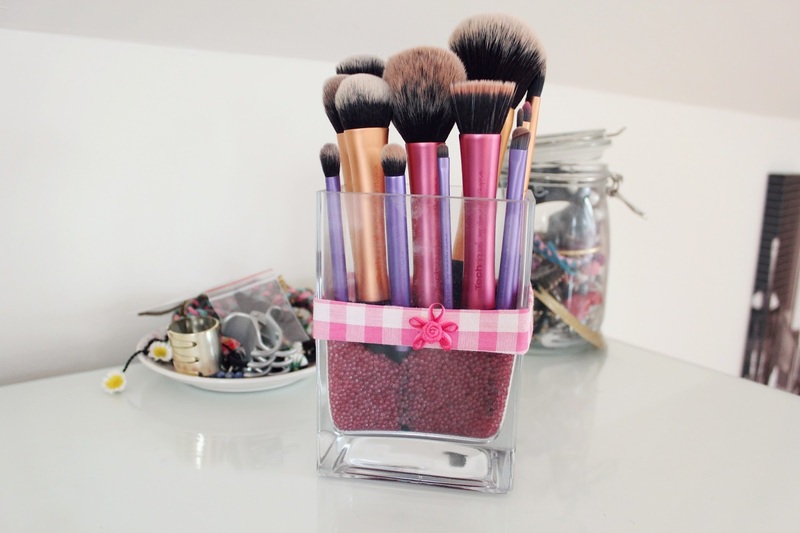 I have the eye set and the blush brush and they're my absolute favourites. Wouldn't buy anything from another brand of brushes now. I love these brushes too and I am slowly building up my collection of them! I use all of mine for multiple things like you said! Pretty much all my brushes are real techniques because their so good! The limited edition duo fibre set is really good too! 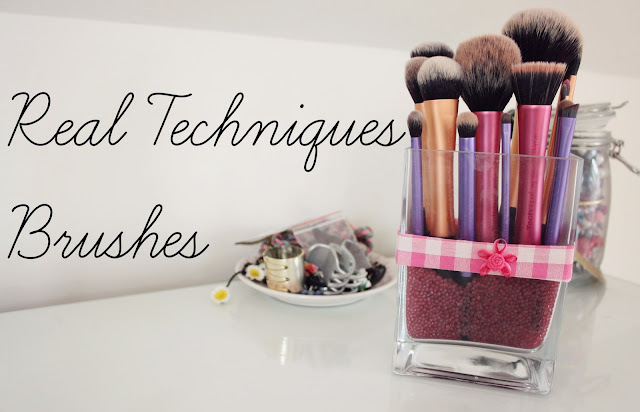 I really like the Real Technique face brushes! The buffing brush in particular is an all time favourite of mine, however i just can't come to like the eye brushes. I've tried them so many times because I really want to like them, but unfortunately I just can't. I really like Real Technique brushes. EcoTools are equally wicked and I use a mix of the two brands. 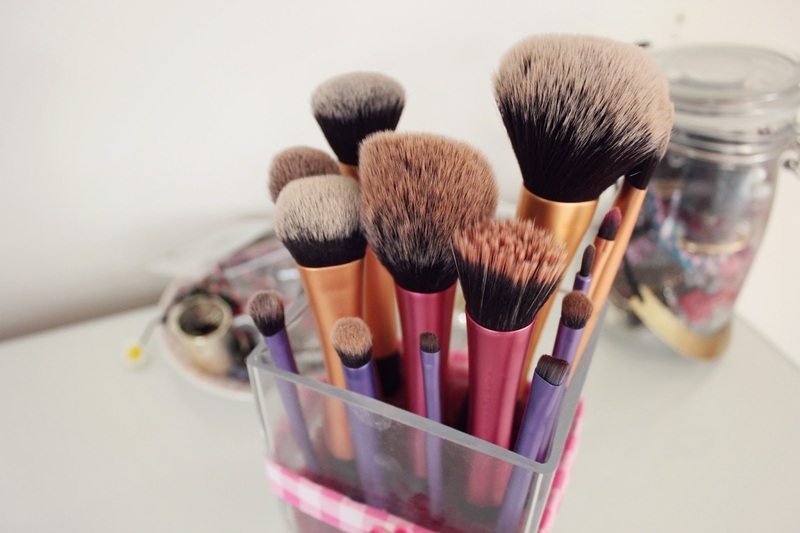 I love these brushes, the setting brush is one of my favourites :-) I really want to give the contour brush a go!